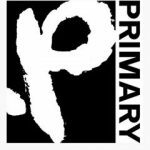 Primary Talent International was formed in 1990 as the result of a merger between two existing agencies – Station Agency and World Service. The result was to produce one of the foremost contemporary music booking agencies in Europe. Primary was established on the basis that being a big agency, far from being a problem, could be a real benefit to everyone as long as the ratio of individual agents remained unchanged and the personal style of working – for which UK agencies are famous – was not only maintained but increased.